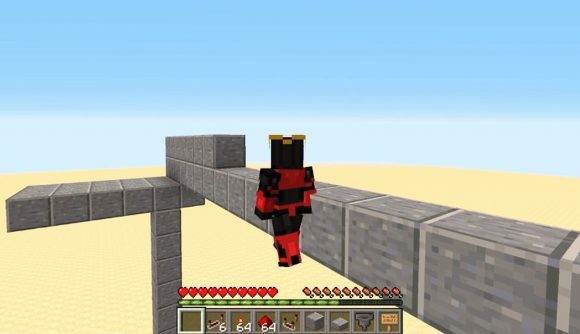 Just before the weekend, Minecraft picked up a feature you’d usually associate with fast-paced shooters such as Titanfall and recent Calls of Duty: wall-running. It was an easily replicable bug introduced in a ‘snapshot’ update (Minecraft builds its major updates in slices called snapshots, rolled out to players for beta testing on a voluntary basis). Some users welcomed the bug/feature, with many saying it’s fun and shouldn’t be removed. Yolwoocle_ says their mind is blowing with map ideas, while CK20XX suggests it could be “turned into a piece of equipment”. Unfortunately for them, the bug was addressed in another snapshot: 19w04b. The notes say walking on walls has been “partially fixed” in that you’ll now fall slowly when moving against a wall. As of 19w04b you can, however, now perform a double-jump – another FPS feature, we’ll have blink teleports next – and the notes acknowledge that the bug causing all this “is very cool”. There’s some hope that it will be properly implemented as a pair of boots, but it is causing plenty of issues in other areas, such as climbing stairs. Expect it to change further before these snapshots become a full update.